Chinese residents say it’s almost certainly in their best interest that the government limits their access to viral video aggregators and shareable images featuring inspirational quotes. BEIJING—Asserting that their government’s policy of strict censorship was not completely detrimental, China’s 1.4 billion citizens admitted this week that they are actually kind of grateful to not have access to the entire internet. Members of the Chinese populace pointed to endless social media updates, native advertising disguised as legitimate editorial content, and sound-producing banner ads as just a few features of the internet that they don’t particularly mind having blocked, with citizens telling reporters that, all things considered, the regulations that wall off the bulk of the world wide web have actually proven beneficial to their lives. “Truth be told, I can live with that,” he continued. According to a nationwide poll, 73 percent of China’s population favors the government’s policy of blocking certain words and images it considers subversive from appearing in citizens’ search engine results, noting that the banned material could potentially include any number of meme photographs featuring user-generated text or listicles of ugly holiday sweaters. An additional 85 percent of respondents voiced their support of the Communist Party’s efforts to curtail access to most social media sites, explaining that, while such regulations could be considered overly broad and heavy-handed, this censorship at least ensures citizens don’t ever log into their online account to find numerous invitations to play Bubble Witch Saga. Furthermore, a full 98 percent of the Chinese people stated that the Golden Shield Project firewall that blacks out a significant portion of web content originating from outside China “isn’t all that bad,” as it effectively filters out all television show recaps, online poker games, crowdfunding campaigns for friends’ indie long-form documentary projects, Twitter, and racially charged discussion threads beneath webcam videos, sports articles, and billions of other pieces of online content. Additionally, numerous citizens expressed their gratitude that Chinese authorities systematically prevent them from accessing Western news websites, noting that the same media outlets that might reference the Tiananmen Square massacre or the recent protests in Hong Kong would likely also include in-depth coverage of the latest viral wedding proposal video and mid-level celebrities’ recent style makeovers. 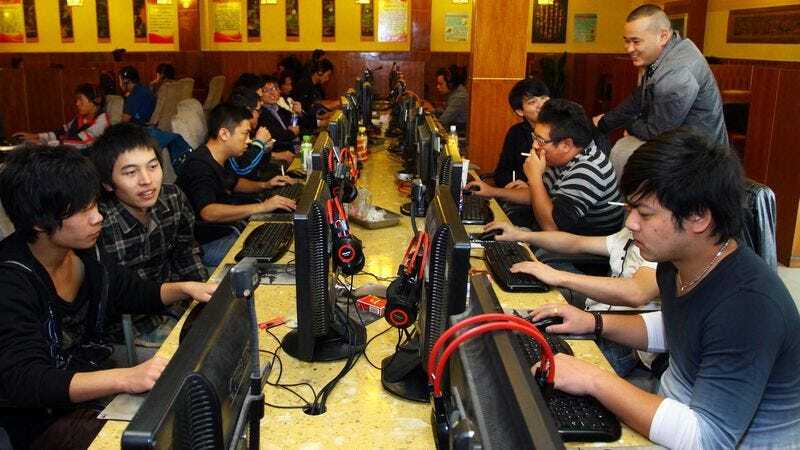 In fact, many of the Chinese citizens surveyed expressed sympathy for people in other countries who were exposed to the entirety of the internet without constraint, particularly the residents of the United States and other Western nations who must routinely contend with 3,000-word thinkpieces about superhero movies, blurry concert footage recorded on a cell phone, and online comments consisting largely of the phrase “butthurt” on a daily basis.